It is a known fact that a car inspection service is essential for all cars which are out on heavy traffic and road. The reliable car inspection not only ensures your safety but also brings you a hassle-free experience while driving a car. The used car is tested carefully to make sure that the used car is completely functional as well as capable to work smoothly on your road. Inspecting the used cars is not a simple task, so it is highly recommended to hire the right and trusted car inspection team. There are lots of companies now offers inspection services for the used cars, so you can select the right one quickly. The proper selecting will aid you in acquiring certified and outstanding car inspection services at very affordable rates. 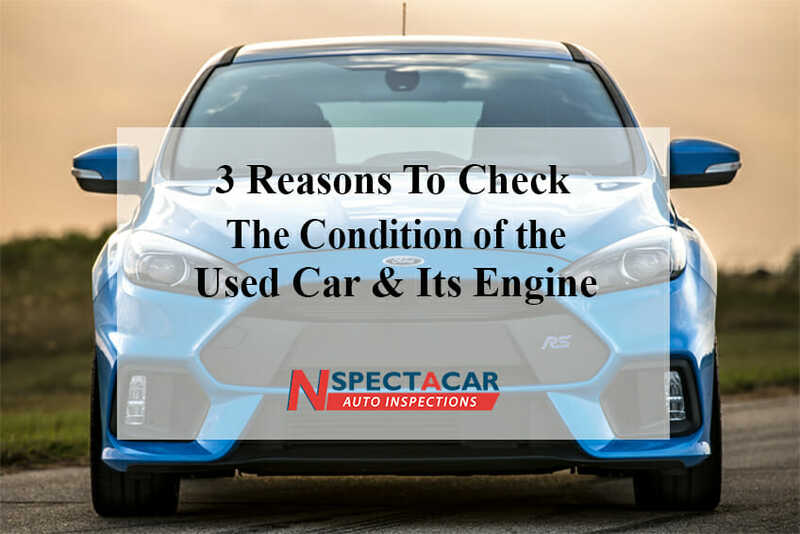 There are many valuable reasons to inspect a used car and some of them are given below. Usually, all kinds of car owners may tell that there is no issue with their car. Also, they only mention a few minor issues like it will require some oil change. If you do not have proper skills or you do not hire a car inspector, you will surely be convinced with the words of sellers. By using the car inspection service, you will easily know whether the sellers are sharing the original details or not. Along with this, you can easily identify if the sellers hide anything. If the engine and its parts are critically wearing out, it will create some problems. Also, the minor problems may lead to a severe issue if not properly addressed. The professional car inspection will inform you regarding the possible upcoming issues. In addition, they also detail some steps which are required for preventing or fixing the potential issues. Even small problems in the engine will affect the handling or performance of your vehicle. It will create some safety problems for your family. A precise and reliable inspection of an engine by experienced and professional inspectors can aid you in determining if the engine needs maintenance or repairs. Along with this, you can also check the coolant, oil, brake pads, tires and much more. Determining the value of a used car is a daunting task, so it is advised to visit the car inspection company. The trusted and efficient team of car inspectors can inspect the vehicle properly. This pre-purchase car inspection process will clearly show what is actually wrong or what is possibly go wrong with the used cars. The car inspection also estimates an exact amount for fixing the problems. You can compare the cost with a value of a new car. It is the right way that will help you to know the fair price of a particular model or make of a car.